Dehydrated beer. 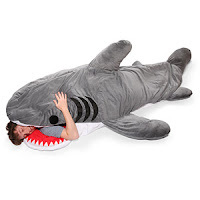 A sleeping bag that eats you. Fire made with ice. Sunglasses with a built-in video recorder. A beard hat. And five more of my personal favorite posts from 2012. Follow along and discover some of the latest, greatest, most useful, and most hilarious outdoor gear from the past year. This is the only post I’ve ever written that still makes me laugh every time I see it. When it comes to cycling, bright is life. As a daily bike commuter on busy urban roads, I looked for the best, brightest, and most affordable selection of ultrabright shirts for warm-weather cycling—and bought 10 of them. 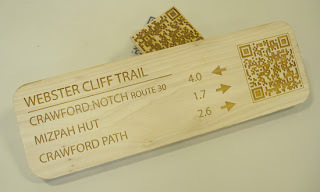 Is this the future of instant, on-demand information about the latest trail conditions? Maybe…. #7—Can You Get Sunburned Through a Car Window? If this shocking photograph doesn’t motivate you to seek out and regularly apply some quality sunscreen, nothing will. #6—Making Fire with Ice: Survival Myth? It’s not a myth—you can indeed create fire with a lens of ice. Watch it happen with this video. #5—Want to Grow a Warm Beard in Seconds? Put on a Beardo. 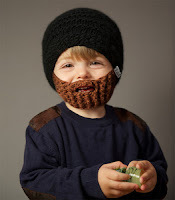 Hilarious, especially if you’ve ever wanted to see a small child with a full beard. A great idea developed right here in the Northeast and successfully launched on Kickstarter. I’m a bit of an armchair futurist, so was fascinated to discover these precursors to a near-certain fact about the future: Someday very soon, we’ll have the ability to record and save every second of our lives. Absolutely amazing, incredibly useful, completely free, and extremely simple to install. Perhaps the most important gear development in the history of the planet. If you’re me.